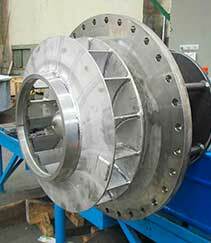 We customize each blower to our clients’ process parameters and excel at finding solutions for complex applications. Our blowers are most often used for heavy duty and/or special purpose industrial applications in the chemical, petrochemical and fertilizer industries but are also used in the waste-to-energy, cement, steel, food and other process industries. Our goal? Continue to have more expertise than anyone else in the market. Boldrocchi was hired to provide the fan systems for a hydrogen reformer at a photovoltaic power plant (PPP) near Burgas, Bulgaria. Boldrocchi designed, manufactured and tested the combustion air and flue gas fan and its system for this project. It involved a 700 kW induced draft fan and the fan machinery train. What was most interesting about this project was its special construction on spring isolators. The entire system had to be designed to be mounted on top of the reformer’s steel structure. 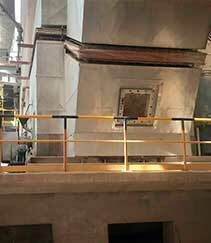 In 2016, Boldrocchi was awarded a contract to revamp a kiln fan at a cement plant in Tepetzingo. Plant officials were looking for a major performance increase but had a limited budget. 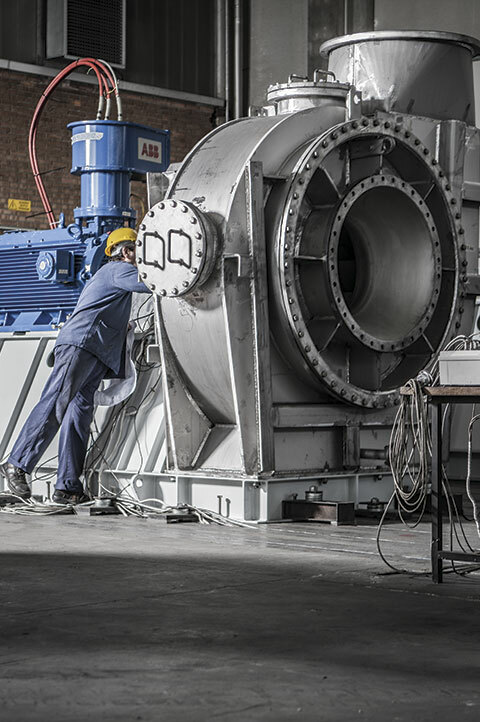 Our kiln fan revamp increased the fan’s performance by 40% while saving 30% in costs. To further reduce costs, we designed a partial casing replacement to allow the client to keep most of the existing casing. 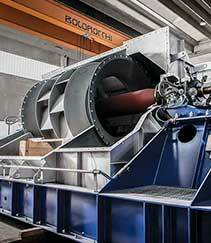 Boldrocchi engineered and manufactured a number of systems for a refinery in Izmir, Turkey. Among the systems: a CCR Chlorination Blower used in petrochemical chlorination and catalyst regeneration processes. 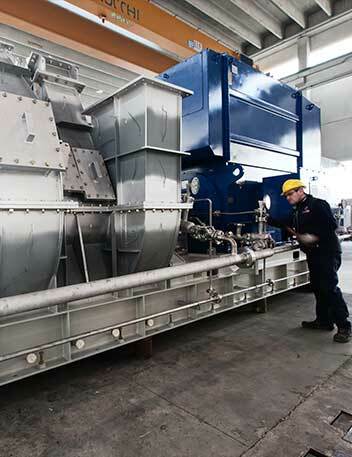 In order to satisfy the process requirements, Boldrocchi built a special test facility to check the blower’s performance at various temperatures, up to 600°C (1112°F). Boldrocchi also designed and fabricated a cooler blower, a combustion air blower, a recycle gas blower, a fines removal system and a regeneration blower.